On June 3 and 4, 2017 Sisters of Mercy Urgent Care will partner with Arts for Life, Sports Outreach and Mountain Area Pregnancy Services to host the 6th annual Bike and Hike for Life. Benefitting all four organizations, this event allows participants to choose which organization they wish to support and which activity best suits their interests and abilities. One hundred percent of donations made to Sisters of Mercy Urgent Care’s Catherine McAuley MERCY Foundation will go to Team Mercy’s international medical missions efforts. Since 2010 the team has sent 18 medical teams to Haiti, and one to the Philippines. Team Mercy works closely with the communities in which they serve to stay informed about the needs of the community members. Proceeds from Bike and Hike for Life have helped to provide medical care at 11 medical sites and 15 orphanages, food, supplies, medicines, medical equipment, shoes, clothing, diapers, hygiene kits, infant layettes and an emergency generator. Healthcare workers from Sisters of Mercy Urgent Care have also provided CPR, fire, laboratory, and ultrasound trainings to empower community members with the knowledge and skills to continue caring for those in need. 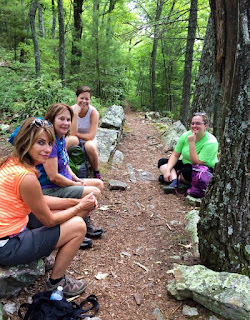 Hike, June 3: Meet at Mount Pisgah Trailhead at 10:00 a.m. There is no charge for the hike; participants are asked to raise or donate an amount that is personally significant. The hike will end with 360-degree views from the observation deck at the top of Mount Pisgah, followed by light lunch at nearby Mt. Pisgah Picnic Area. To register, contact Sharon Owen at Sharon@somsc.org or 828.779.9581. 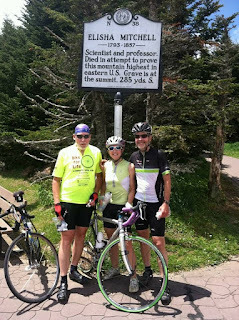 Bike, June 4: The Bike ride on Sunday is part of the larger Hunter Subaru WNC Flyer which features beautiful mountain scenery. Participants may choose between a full 100-mile ride or a shorter distance. Bike for Life riders need to register for the WNC Flyer and any additional money they raise or donate will be granted to the organization of their choice. The ride can accommodate first-time to experienced riders. The fee to participate is $60.00 and registration is open until May 31. To participate, go to wncflyer.com.